In the corner of my desk sits a stack of Bibles. Over the course of my ministry, I’ve collected Bibles of all kinds. All versions. I even have the NIV Study Bible from my teenage years. My college Bible, hardly ever read, reminds me of God’s grace without even opening it. The NLT Bible that my cousin Jake gave me on the day of his wedding makes me laugh, partly because of the memories from the wedding and partly because I know that today Jake would prefer almost any version but the NLT. Most of my Bibles are ESVs, but there’s a couple NASBs and even a Greek New Testament when I’m feeling…scholarly. But there’s one Bible I cherish the most. It’s my Mother’s Bible. A year ago, my grandmother wanted me to have it, and what I found inside leveled me. At roughly the same age as she was when she died, I had one last lesson to learn from Mom. And I can still remember the first time I opened it. Her notes, her thoughts, her favorite verses, it was like meeting Mom again for the first time. I could look into her heart. I could hear her personality. I could read her love for Jesus and her compassion for the lost. Even her corny jokes in the margins were glimpses into her sense of humor. There was so much here that my soul could hardly bear it. She left so much of herself on the pages of her Bible that I felt like she had left it all for me. My heart leapt. I remember reading one particular note she’d penned about the sin of Israel in the book of Exodus. She lamented their unbelief and saw her own sin in theirs. It was so honest and wise and child-like and humble, I cried as I read it over and over again. She even wrote like me. My Mother’s faith and her piety were playing out before my tear-soaked eyes. Every deep thought turned into a prayer which turn into worship. At six years old, the only memories I was able to keep of my mother were quick snapshots and second-hand stories from the people who knew her. But this. This was Mom. This was who she really was. Not a hero. Not a memory. A believer. A sinner trusting in God’s grace. Every page, every note was a new introduction to the woman I’d spent my life longing to know. She was so frail and so human now. So tender and so strong. Her prayers were captivating. And all I wanted to do was keep listening. Her Bible also made me laugh. After reading through her notes in Revelation, I’m almost positive that she believed in a pre-tribulation rapture. She was a good ole Scofield-toting fundamentalist. One of her notes in the book of Jonah made me think we might have disagreed on Jonah’s goodness a bit. She’d kept a small library of bulletins and Annie Armstrong Easter offerings in her Bible. A good Baptist woman. The evangelism strategy classes and VBS cartoons brought me even closer to the woman I only knew for a short time. There was even a note that I think she was passing during a service, inquiring about where a young lady had been in the last several weeks. She wanted people to come to church and hear the Gospel, and she wrote often about it. And boy did she love to sing. The hymns poured over the pages and filled the leaflets she’d kept from special services. She even kept little gifts from my grandparents in North Carolina, honoring God and parents. Very seldom in my life have I ever felt as if I were meeting someone again for the first time. I saw a side of my mother that I’d never known. The woman who’d always been the patron saint and the godly wife was also a theologian. She knew the Bible well and thought deeply about its contents. She even quoted the Puritans! 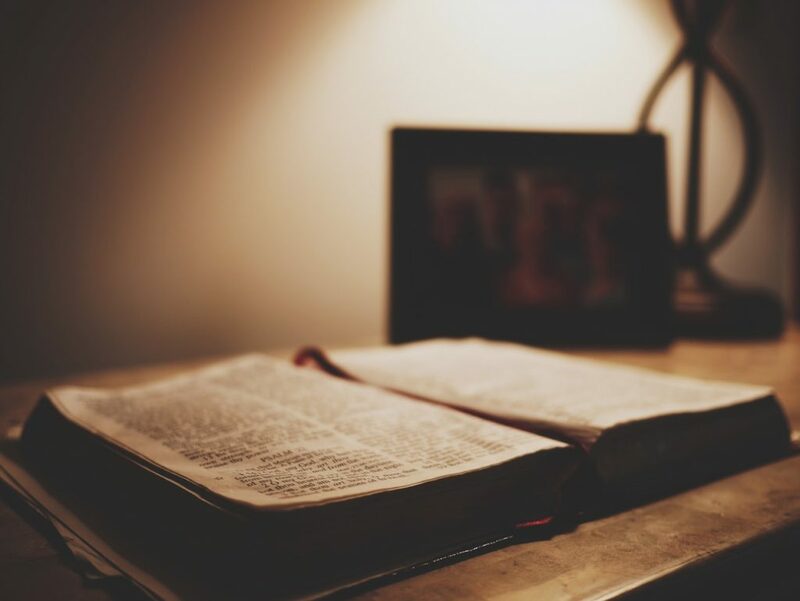 Stepping into her Bible was a reminder of where I received my personality, my interests, and even my way of thinking. But more than my genetics, it was a reminder that Shawn Todd loved Jesus even more than her own family. More than me. In one of her notes on Matthew 22:30, she simply put, “No marriage in heaven.” On the very same page, she wrote, “All loves should be stepping stones to the love of God.” She was ready for death. For her, the fall to cancer was just the beginning. And her marriage to my father was just a foreshadowing of her greater marriage to God in Christ. She spent her life preparing for that wedding. All my life I’d heard how well she died. But oh did she live. After reading through her Bible many times, I feel very confident that my Mom didn’t want me to remember her without remembering the saving Gospel. It’s what she treasured most. She didn’t want her Bible to become a time capsule or a memorial. She never would have wanted her words to overshadow those she’d spent her life storing in her heart. After pouring over my mother’s thoughts and absorbing her mind and her heart, I realized that’s exactly what she’d been doing in her Bible everyday with Jesus. Hanging onto every word. That’s what the Bible is. It’s God’s letter. His self-revelation. His heart. His personality. Himself. When we read the Bible, we’re not reading about someone’s memory; we’re convening with the living God. My mother’s notes have proven to be such a priceless treasure to me over the past year, but her words will never save. They’re not God-breathed. And it’s not her words I cling to for my life. It’s His. The greatest connection I’ll ever have with Mom isn’t her trinkets or her notes or her corny sense of humor. It’s her Savior. I wanna love who she loved. And I want to die like she died. In Christ. Thanks for writing this Obbie. Made me cry. So happy you got your Mom’s Bible. Your mom was such a blessing to me! I remember some of our last conversations about the Lord so well. Thank you for sharing this. Beautifully written. I could feel your mother’s love for our Savior through your words. Thank you for sharing.